We had a student who made How to Use, Adapt, and Design Sewing Patterns part of the core for their class up here. Janet wanted to get a more solid sense of what was going on so that they could be a little more fluent in the language of shapes. 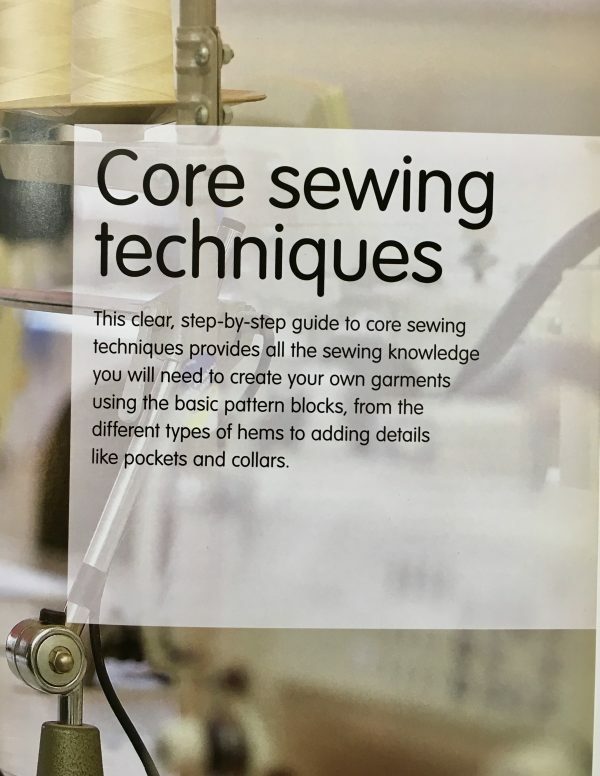 Written by Lee Hollahan, a designer and lecturer at the University of the West of England in Pattern Cutting in Fashion and Fashion Textiles, this book gives you a solid sense of what patterns are and what you can do with them. 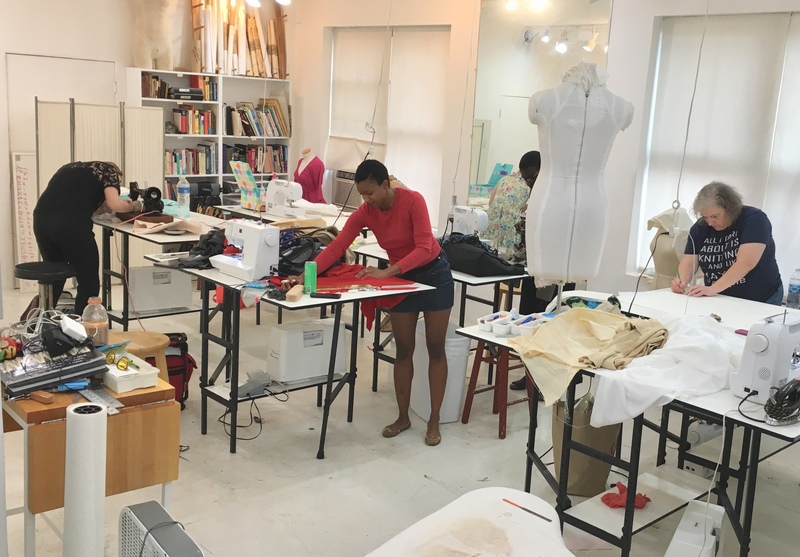 An accomplished fashion designer shows women who make their own garments how to improve on store-bought sewing patterns by adjusting the clothing item’s length and other details to reflect personal taste and create a custom fit. The book’s opening chapters present an illustrated guide to the tools, equipment, and fabrics needed for making garments, while also serving as a miniature textbook to teach basic sewing techniques. Chapters that follow offer detailed instruction in adapting and altering a store-bought pattern to suit individual tastes. Alterations include adding flare, and modifying the shapes of bodices, arm holes, neck lines, sleeves, and skirts. The book’s concluding chapters instruct on designing one’s own patterns from scratch. Author Lee Hollahan demonstrates to her readers that once they understand how to adapt a store-bought pattern, they are well on their way to custom designing their own wardrobe. More than 500 instructive illustrations. Now let’s get into the meat of it, yes? Then follows with a basic glossary and index. 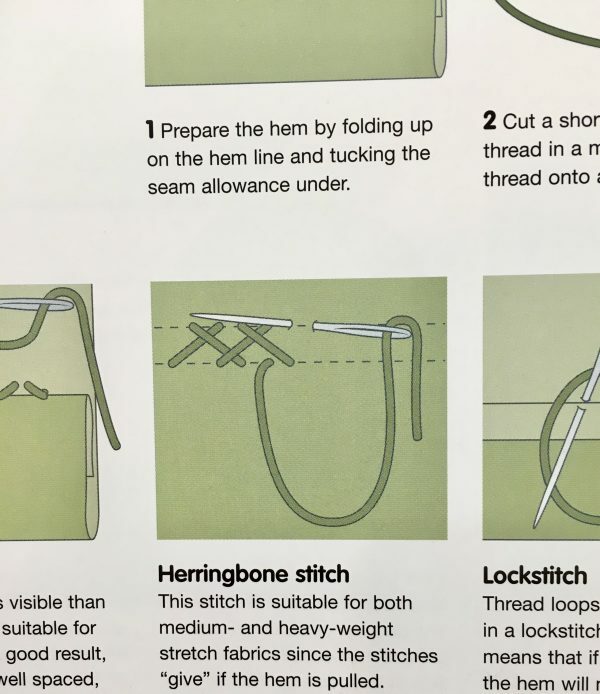 In Tools & Materials Hollahan walks you through the basic tools you will need for most beginner to intermediate sewing projects. So things like scissors, thread, marking tools, and types of fabric are covered. In All About Commercial Patterns they walk you through measuring for a commercial pattern, and then introduce layouts and terminology. They then walk you through basic pattern alterations in Altering a Pattern for bodices, sleeves, skirts, and pants. The basic alterations in this section are simple and concise, but not particularly thorough. 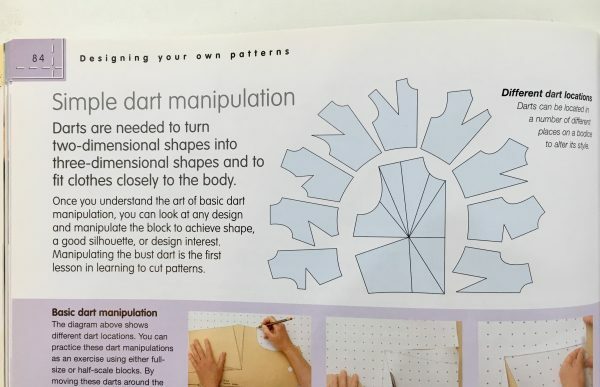 Designing Your Own Pattern covers making pattern blocks and then goes into more complicated and advanced alterations for those blocks that can be adapted to commercial patterns as well. This section is really the meat of the book and could easily be its own book with a little editing. The Pattern Blocks is a series of basic scaled blocks for you to use that range from a US size 6-18. Their use is explained in an earlier section (p. 66). This chapter properly should be considered more of a functional appendix. And finishes up with Core Sewing Techniques where they briefly introduce you to a number of sewing techniques. They’ve included everything from shoulder pads to elastic casing. They walk you through the very basic dress shirt collar and then include hand stitches that every sewist will find useful. 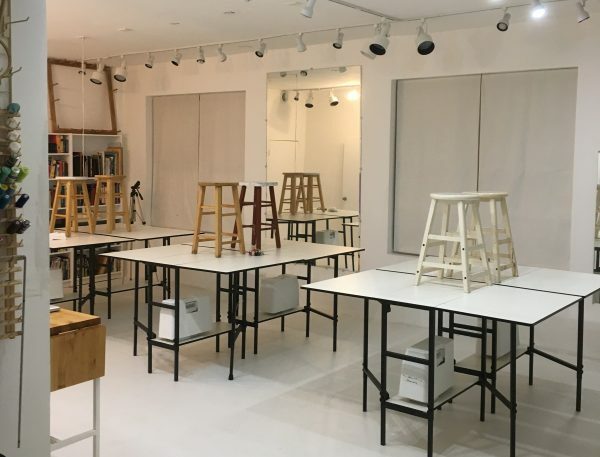 In all this is a great little book for a workroom like this with other resources, but one of the problems that you will find mentioned in online reviews of it is that it is all over the place. We’d agree. This book, for all of its merits, doesn’t seem to know exactly what it is or for whom it was written. 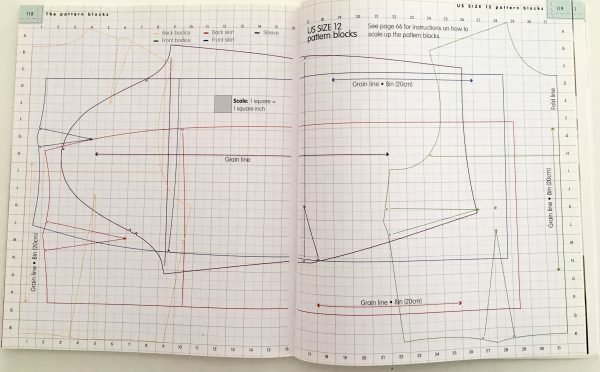 It goes from the most basic “you will need a sewing machine, here is what one looks like” to particularly advanced “scale up these pattern blocks to your size and alter them to your shape and proportion” in just a couple-score pages. This covers a lot of ground. 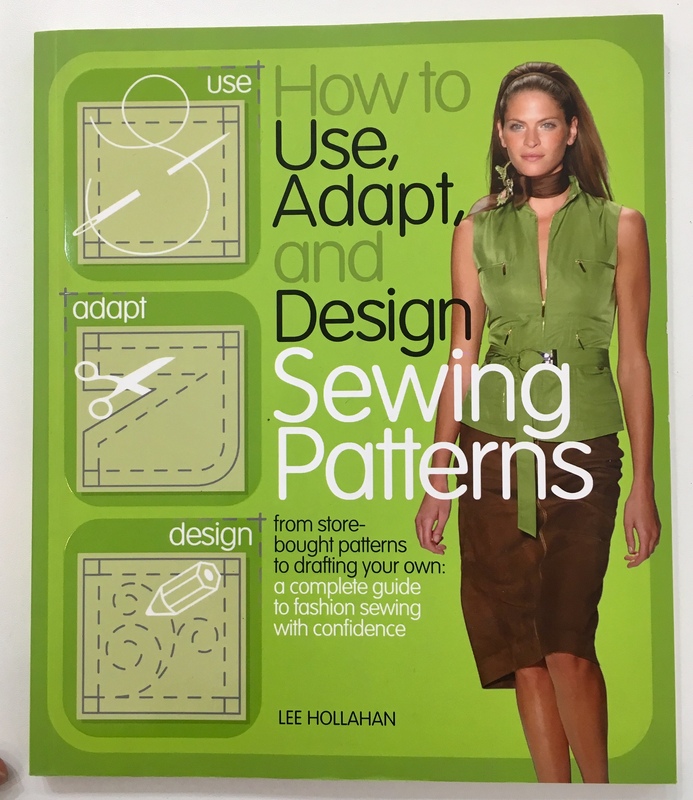 What we think Hollahan is trying to do here is build a bridge between older sewing manuals from the mid-20th century and modern cutesy “It’s SEW Fun!” DIY books and blogs. In the earlier manuals, it was assumed that you would have some knowledge of sewing and some fundamentals because a lot of it was baked into the culture of the time with the preponderance of practical sewing knowledge that people just had to have and the prevalence of home economics programs. 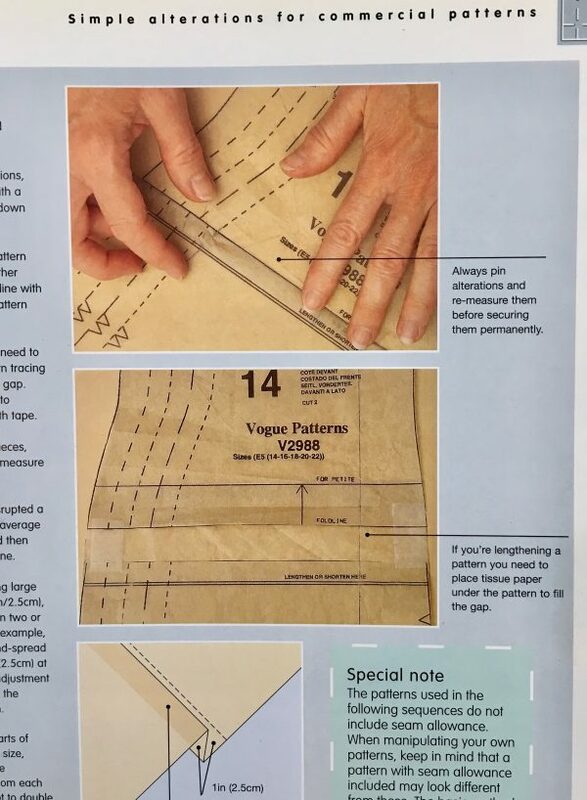 In any case, some advanced sewists online have complained that the book doesn’t go far enough in covering the heavy stuff while going too far in covering the easy light stuff. We don’t think this is the case, but there is a narrow barrier between the two. It is going to be the most useful for the intermediate sewer who hasn’t had a ton of experience with drafting and hasn’t been exposed to the more academic drafting books, but wants to start to get a sense of how to do things. From our experience, it has also come in handy as a sewing-cultural bridge between cultures that rely on a more traditional and almost guild-like approach to sewing versus the more process-instruction driven American and European process. This makes a bit of a difference in terms of how people absorb things and this book helps bridge that difference. So as a book, it is useful to both beginners and intermediate sewists, but each of them will use it differently and for different reasons. It should probably have been divided up and written as three books, but Hollahan did something interesting in trying to fit things together like this.